On November 24, 2018 the official celebrations to commemorate the 85th anniversary of the 1932-1933 Great Famine took place in Kiev. They were attended by the Presidents of Latvia and Slovakia, the Prime Minister of Moldova, the Vice-President of the European Parliament, the Minister of Foreign Affairs of Estonia, Ukrainian officials and representatives of the diplomatic corps accredited in Ukraine. 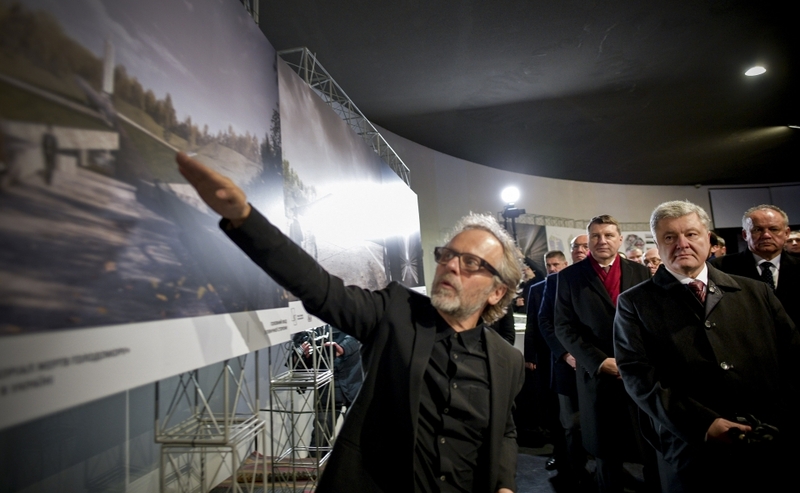 During the event, Mirosław Nizio, presented to the President of Ukraine Petro Poroshenko – together with the Ukrainian architect Andriy Myrhorodsky and Ivan Vasyunyk, the deputy chairman of the government’s Organisational Committee for the construction of the museum – the design of the National Museum “Memorial to Holodomor Victims”.